Save hundreds of Pounds with this robust greenhouse made out of transparent polyethene which is recyclable. 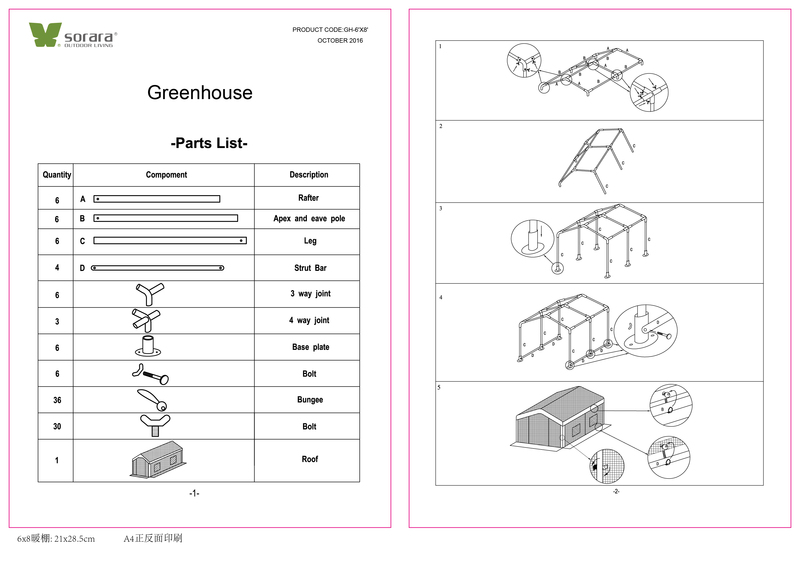 Having a greenhouse in your garden gives you many advantages. The greenhouse provides the opportunity to grow plants that are not accustomed to the English weather, or to grow crops which don’t survive outside. In the greenhouse you can grow delicious tomatoes and cucumbers. But you can also grow exotic fruits as for example melons. Fabric material/colors: 180 g/㎡ white/transparent PE, side fabric material/colors: 250 g/㎡ darkgray polyester with PU coating. Others: incl. 4 windows, mosquito nets and 2 doors with zippers.